Above is the current conditions from my WS1081 Weather instruments, Which are located in McKinney , Texas. I am sending the data to Weather Underground, and the Graphics on this page are from there. Clicking on the graphics will take you to my data page at Weather Underground. Below is an actual picture of my instruments. This is my ws1081 weather station. It's mounted to my storage building, and transmits wirelessly to the console. These are not what I consider to be expensive. 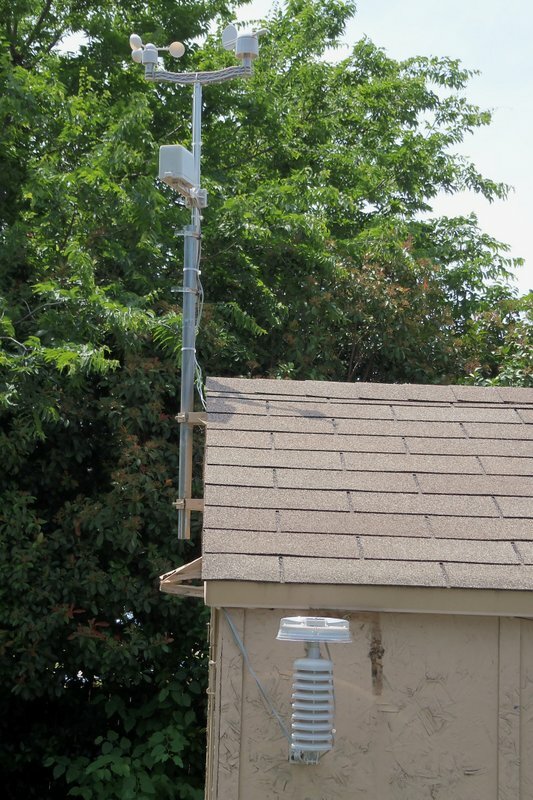 A search on ebay for wireless weather station will turn up many options for approximately $100 and up. Add an old, unused computer, and an internet connection, and soon you can be posting weather results to Weather Underground just like I am. It's an interesting hobby. Leave me a comment if you would like to. Click on the survey and tell me what you think.